Place large soup pot on medium-high heat. Add olive oil and preheat for 2-3 minutes. Pour chicken stock into pot with onions and carrots. 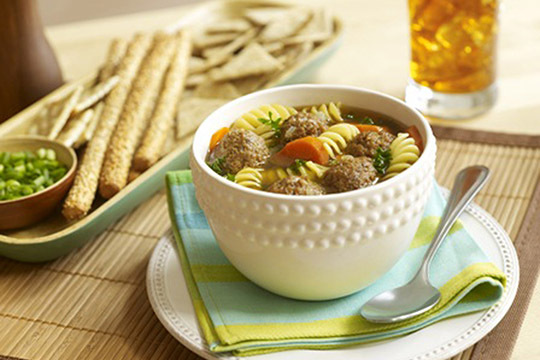 Add frozen meatballs and uncooked pasta.